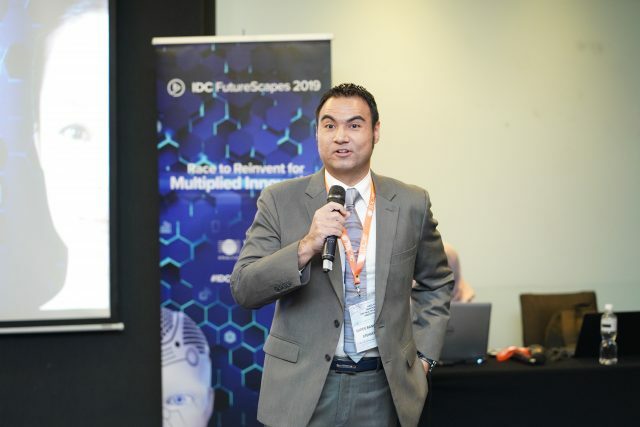 IDC unveiled its top predictions for the Malaysian IT industry for 2019 and beyond, predicting that by 2022, over 21% of Malaysia’s GDP will be digitalized, with growth in every industry driven by digitally-enhanced offerings, operations, and relationship, driving US$82 billion in IT-related spending from 2019 through 2022. The digital economy plays an increasing role in Malaysia’s journey towards becoming a high-income nation. IDC believes that the adoption of emerging technologies is expected to be one of the key drivers in future economic growth. The recent budget focusing on Industry 4.0 blueprint, titled “Industry4WRD”, is a right step towards helping businesses especially SMEs to rapidly adopt 3rd Platform technologies. 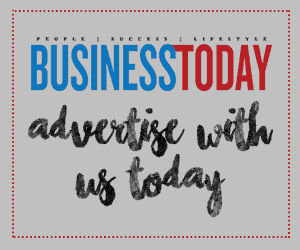 In Malaysia, financial institutions, telecommunications, media, and retail industry are the leading industries that have successfully started to digitally transform and align their overall strategy with digital strategy in Malaysia. “In its journey towards achieving greater economic progress, Malaysia needs to do more to unlock the full potential of its digital economy. Industries in Malaysia must transform themselves by adopting best practices and emerging technologies in order to sustain and be able to compete in a highly connected and competitive world. The government and IT vendors have a major role to play in setting up right policies, development of talent, and implementation of right solutions to help end- user enterprises thrive and grow the digital economy of Malaysia.” said Baseer Siddiqui,Senior Research Manager, IDC ASEAN. streams and business models, but the number of success stories are still small compared to other matured digital economies. 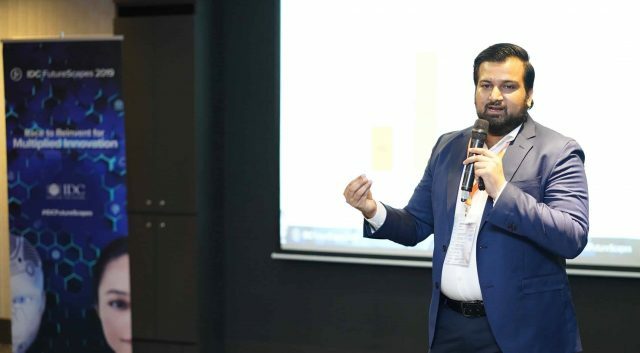 There is greater need to enable digital success at bigger scale, and to achieve it every stakeholder has to work in tandem with a comprehensive and actionable roadmap.” said Baseer Siddiqui, Senior Research Manager, IDC ASEAN. #1: Digitalized Economy. By 2022, over 21% of Malaysia’s GDP will be digitalized, with growth in every industry driven by digitally-enhanced offerings, operations, and relationship — driving US$82 billion in IT-related spending from 2019 through 2022. #2: Digital-Native IT. By 2023, 70% of all IT spending will be on 3rd Platform technologies, as over 50% of all enterprises build “digital-native” IT environments to thrive in the digital economy. #3: Expand to the Edge. By 2022, over 25% of organizations’ cloud deployments will include edge computing, and 25% of endpoint devices and systems will execute AI algorithms. #4: AppDev Revolution. By 2022, 60% of all new apps will feature microservices architectures that improve the ability to design, debug, update and leverage third-party code; 25% of all production apps will be cloud-native. without custom scripting, will expand the developer population by 20% — accelerating digital transformation. developers, agile methods and lots of code reuse — 4.0 million new logical apps will be created. #7: Growth Through Specialization. By 2022, 20% of public cloud computing will be based on non-x86 processors (including quantum); by 2022, organizations will spend more on vertical SaaS apps than horizontal apps. #8: AI Is the New UI. By 2024, AI-enabled user interfaces and process automation will replace one-third of today’s screen-based apps. By 2022, 20% of enterprises will use conversational speech tech for customer engagement. #9: Expanding/Scaling Trust. By 2023, 30% of servers will encrypt data at rest and in-motion; over 20% of security alerts will be handled by AI-powered automation; and 3.0 million people will have blockchain-based digital identities. #10: Consolidation vs. Multicloud. By 2022, the top four cloud “megaplatforms” will host 80% of IaaS/PaaS deployments, but by 2024, 90% of Malaysia 100 (M100) organizations will mitigate lock-in through multicloud/hybrid technologies and tools.